Music Therapy Connections NI (MTCNI) offers a professional Music Therapy service for people from all age groups, backgrounds and abilities. Working throughout Northern Ireland, we use Music Therapy as a way to offer a unique and exciting approach to promote personal well-being and offer therapeutic support through the use of musical creativity. For more information on Music Therapy and its benefits, please click here. MTCNI also strives to raise awareness about the effectiveness of Music Therapy as an interventional treatment and how it can improve the quality of life for everyone. It is our intent to promote the profession and make it more accessible across Northern Ireland by establishing a productive network of like-minded practitioners and interested parties. To be part of our growing network and help raise public knowledge about Music Therapy in Belfast & Northern Ireland, please feel free to get in touch. 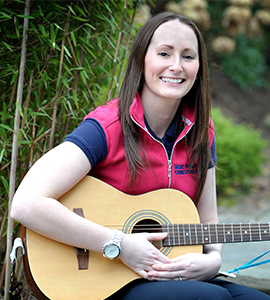 Music Therapy Connections was established by Emma Donnelly – a Health and Care Professions Council (HCPC) registered Music Therapist. Emma Donnelly has a BEd Hons in Music and Education. She initially worked as a special needs teacher before taking a career break to complete a Masters in Music Therapy at the University of Limerick. Emma Donnelly specialises in working with both young children and adults with an array of additional needs. 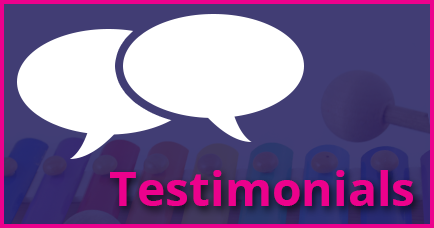 She also has a great interest in working within early intervention settings and in particular using Music Therapy to encourage parent-infant bonding. Emma is also the British Association for Music Therapy (BAMT) area co-coordinator for Music Therapy in Northern Ireland. MTCNI will provide a professional community based Music Therapy service for children, young people, adults and older adults across Northern Ireland in an ethical and cost effective way. MTCNI will be an active advocate in promoting and protecting the status of the profession across Northern Ireland, promoting ethical clinical practice and educating and sharing information on Music Therapy. MTCNI aims to develop professional connections and relationships to ultimately empower and strengthen the Music Therapy community as a whole.